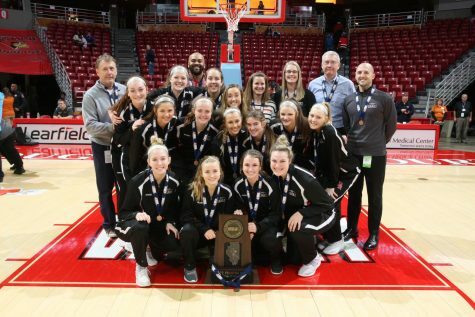 There are many things that make Benet Academy a special place. There are successful sports teams, advanced academic classes, and a strong community of students and teachers. 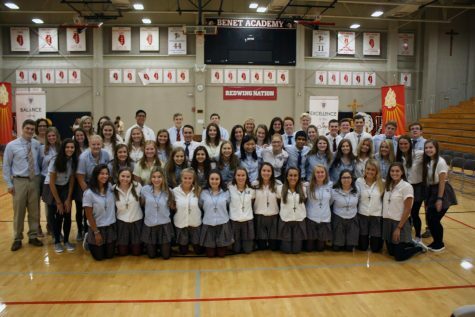 However, one of Benet’s most standout qualities is its Catholic identity and how its students choose to embody that characteristic. Every year, there is an opportunity for students to serve the Benet community in faith and witness through being an Extraordinary Minister of the Eucharist. These Eucharistic ministers commit to going to Mass on Sundays as well as dedicating time to the sacramental life at Benet on a weekly basis. They model how through the sacraments, believers are united more closely to God. Eucharistic ministers have the blessing of being able to feed Benet’s student body both physically and spiritually, a task that is truly admirable and worthy of reflection. Only seniors may serve as Eucharistic Ministers. Every year after spring break, an application is sent out to the junior class. The soon-to-be seniors answer a survey inquiring about their calling to be an EMC. 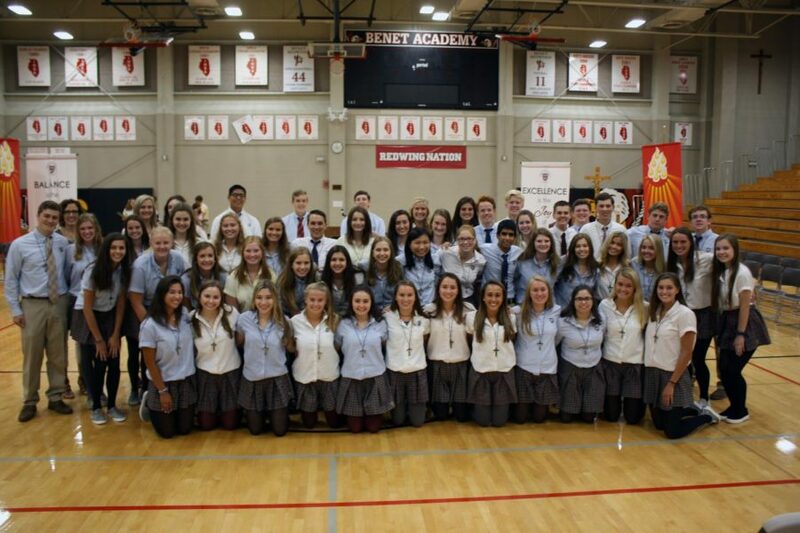 If you are not a senior but would like to become involved in Benet’s campus ministry through the Sacraments, there are multiple other opportunities including lectoring or altar serving during daily masses. If you are interested in being trained in either of these fields, contact Mrs. Bedore, Benet’s campus minister, or Matteo Caulfield, the liturgy coordinator for the year. Another wonderful opportunity for those gifted musically is to join the Mass Choir which is directed by Mr. Brian Wand and his student assistants. To quote Mrs. Bedore, “I love the Ministry for Extraordinary Ministers of the Eucharist because it is an opportunity for Benet students to be witness to the love and reverence that Jesus Christ in the Eucharist deserves. Christ’s presence with us in the form of the Body and Blood of Christ is a precious gift never to be taken for granted.” Thank you to this year’s Eucharistic Ministers and all those involved with Benet’s Mass Liturgy. You truly make mass special for us all.